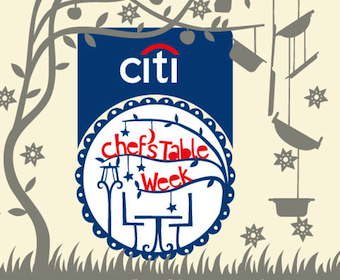 Citi Chef’s Table Week will run across Bangalore, Delhi and Mumbai from July 14th to July 20th. This one-week culinary event is now open to all credit / debit card-members giving diners a unique opportunity to experience a six-course customized chef’s tasting menu as well as interact with the Head Chef of some of the finest restaurants in Bangalore. Customers can enjoy exceptional signature dishes as well as off-menu specials as part of a six-course Chef’s Tasting Menu experience. These bespoke menus are priced across restaurants at INR 2,000 in Bangalore, (taxes and service charge extra). GH Mumm Champagne and Jacob Creek Reserve wines, will be available by the glass or per bottle at half the restaurant’s wine list rate. Citi card-members will have the exclusive privilege of making reservations starting July 7, 2014, through the Chef’s Table Week website (click here), while general reservations will commence online from July 9, 2014. Hi! I'm on a quest for lust-worthy food. I love eating out as much as I love whipping up some mean treats in my kitchen. I've got wanderlust tattooed on my wrist. "The only thing I like better than talking about Food, is Eating."